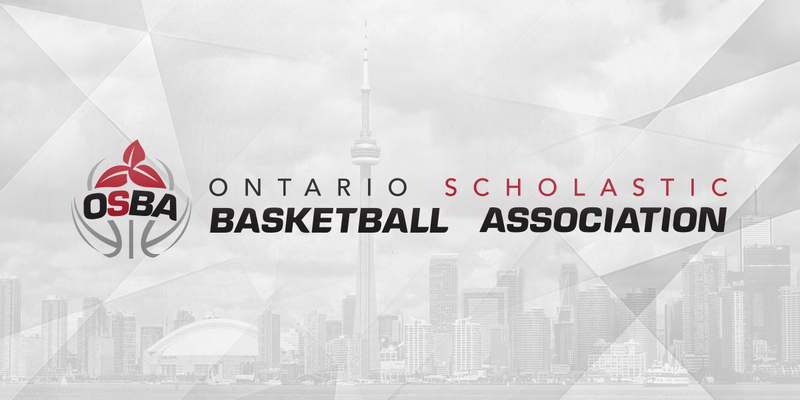 Ontario Scholastic Basketball Association (OSBA), Ontario Basketball’s high school basketball league for high performance student-athletes, is accepting applications for new programs for the 2019–20 season until the end of February. To receive the application package, interested applicants must e-mail the applicable contact, as outlined below. Applications from potential programs are accepted on an ongoing basis throughout the season. All programs intending to submit an application for the 2019–20 season must send a Letter of Intent by Thursday, February 14. Applications are due on Thursday, February 28. The OSBA men’s league has grown every year since the first season in 2015. Now with 14 teams, the league has been divided into two divisions. The East Division has Bill Crothers Secondary School (Markham), Central Tech (Toronto), FHC Prep (Etobicoke), Orangeville Prep (Orangeville), RISE Prep (Brantford), Thornlea Secondary School (Thornhill) and Vaughan Secondary School (Vaughan). The West Division is comprised of Athlete Institute Black (Orangeville), Athlete Institute Red (Orangeville), King’s Christian Collegiate (Oakville), Lincoln Prep (Hamilton), Ridley College (St. Catharines), Southwest Academy (London) and TRC Academy (Brantford). The OSBA women’s league has expanded annually since its inception in 2016, and the 15-team league has been split into three divisions this season. The East Division features Capital Courts (Ottawa), Crestwood (Toronto), Durham Elite (Whitby), Lo-Ellen Park Prep (Sudbury) and Louis Riel (Ottawa). The West Division is composed of Caledon Basketball Academy (Caledon), Lincoln Prep (Hamilton), Niagara Prep (Niagara Falls), Southwest Academy (London) and TRC Academy (Brantford). The Central Division has Bill Crothers Secondary School (Markham), Central Tech (Toronto), Father John Redmond (Etobicoke), King’s Christian Collegiate (Oakville) and Vaughan Secondary School (Vaughan). Ontario Scholastic Basketball Association (OSBA) is Ontario Basketball’s premier high school basketball league. The vision of OSBA is to identify, develop and support targeted Ontario basketball teams and athletes to achieve the goal of developing Ontario athletes for post-secondary, national and international competition. In addition, this elite league is increasing the number and quality of Ontario athletes competing in the province at the Train to Compete stage of the Long-Term Athlete Development Model. Ultimately, the goal of the league is to provide elite-level competition and exposure for top high school basketball athletes and in turn raise the entire basketball environment in Ontario and Canada. For more information about OSBA, visit OntarioSBA.ca.